Congratulations to the new QuiBidder of the Week, Original Appy! She may have taken a month off to go visit friends in Fiji but Appy has returned with a splash. Literally! Make sure you check out the video she shot on the Hero 3+ Silver Edition GoPro video camera! Keep reading to learn a little about her experiences bidding on QuiBids. Be sure to congratulate her in the comments below! Do you want your Facebook posts featured on our blog as the next QuiBidder of the Week? If your posts are chosen, you’ll be named QoW and will receive 90 free bids! Learn more about the QuiBidder of the Week contest here. Wow! Talk about speedy delivery! 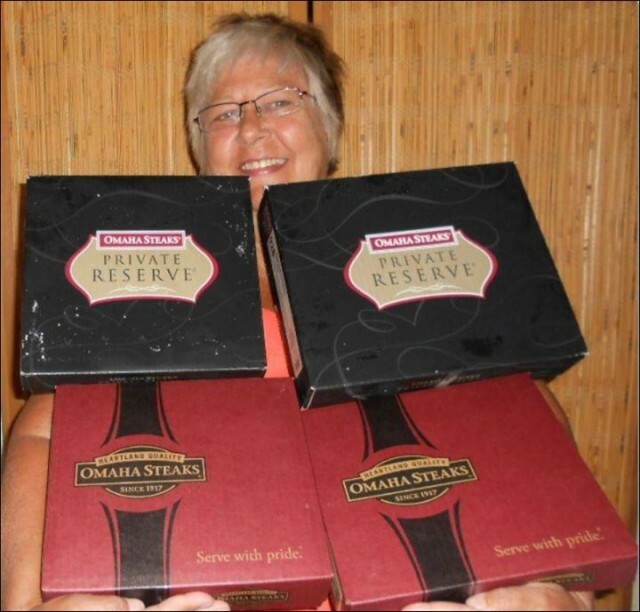 After just getting home from vacation to an empty fridge on Tuesday, I bid on these Omaha Steaks packs on QuiBids and received them on Friday in just 3 days! Amazeballs!!! Here I am holding a total of 18 steaks. The black boxes are the “Private Reserve” packs- Value Price: $263.99. 6 (7 oz.) Private Reserve Filet Mignons & 4 (8 oz.) Private Reserve Top Sirloins I used 9 Real & 18 Voucher Bids. Ending auction price of $3.77 & saved $254.82 or 97%. The brown boxes are the 8 ounce Top Sirloins, pack of 8. Value Price: $129.99. I used 95 Real / 21 Voucher Bids. Auction ended: – $10.57. I saved $62.42 or 48%. No where else can I get 18 delicious perfectly tender steaks for this kind of savings and even delivered to my front door in 3 days! ty so much Quibids. I think you were ready for this big steak event. Sau got her MukLuks! I used 20 RB and saved 50% on what would have been a BIN if necessary. 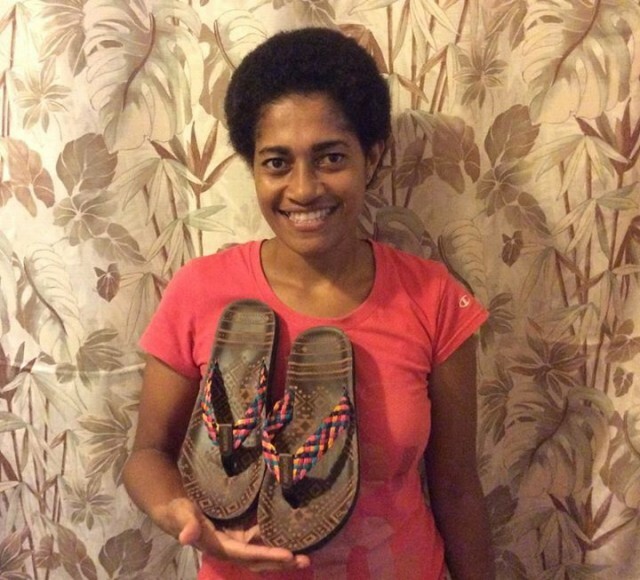 My friends are thrilled to get new shoes here in a country that runs 90% barefoot and always has cuts on their feet. She absolutely loves the pretty beads on top, but esp thrilled about the tribal print on the soft cushiony rubber sole. She also commented on how nice the silk felt between her toes instead of rubber ones and the contour soles is so refreshing to her arch. ?? Ty QuiBids for making someone in need so very happy at an auction ending price of 56 cents. Ps, I my MukLuks too! Follow QuiBids’s board QuiBids Testimonials on Pinterest. QuiBidder of the Week – David A.
QuiBidder of the Week – Karen C.
QuiBidder of the Week – Anne C.